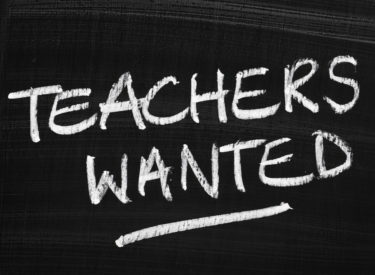 OKLAHOMA CITY (AP) – A new survey shows Oklahoma schools continue to struggle filling classroom positions after the largest teacher pay raise in state history. The Oklahoma State School Boards Association survey released Monday says another academic year will start with nearly 500 teacher vacancies statewide. Many districts already rely heavily on emergency certified and part-time teachers. More than half of superintendents surveyed said teacher hiring is worse this year than last. School Boards Association Executive Director Shawn Hime said a failed effort to block tax increases that will help fund the pay raise pushed some teachers to leave the state or find other jobs. Thousands of teachers converged on state capitols in Oklahoma, West Virginia, Arizona and Kentucky earlier this year over public education spending. Hundreds of them are now running for office .